A Sayre, OK, man was arrested early Saturday morning in connection with a plot to detonate a vehicle bomb in downtown Oklahoma City, reports KOCO. According to the U.S. Department of Justice, Jerry Drake Varnell, 23, was arrested early Saturday morning in connection with a plot to detonate a vehicle bomb at BancFirst, 101 N. Broadway, announced Mark A. Yancey, United States Attorney for the Western District of Oklahoma. 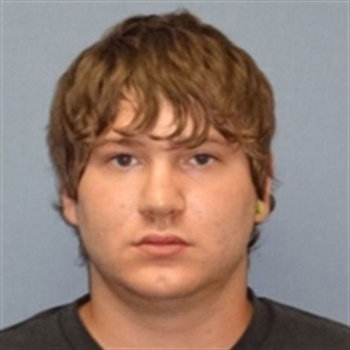 "He wanted to replicate the Oklahoma City bomb," FBI assistant special agent in charge Raul Bujanda said Monday during a news conference. According to a criminal complaint filed Sunday, the FBI arrested Varnell at about 1 a.m. after he attempted to detonate what he believed to be an explosives-laden van he had parked in an alley next to BancFirst. The complaint alleges that Varnell initially wanted to blow up the Federal Reserve Building in Washington, D.C., with a device similar to the 1995 Oklahoma City bombing because he was upset with the government. The complaint explains that after Varnell’s intentions came to the attention of law enforcement, an undercover FBI agent posed as a person who could assist him. Varnell is charged with attempting to use explosives to destroy a building in interstate commerce. If convicted, he would face a maximum sentence of 20 years in prison and a mandatory minimum sentence of five years’ imprisonment. "This weekend the FBI, working with local law enforcement, successfully prevented a hateful act of domestic terrorism that could have mirrored the Alfred P. Murrah Building bombing in 1995. I am grateful for the service of the state and federal law enforcement who not only foiled the attempted terrorist, but did so without putting the community at risk.